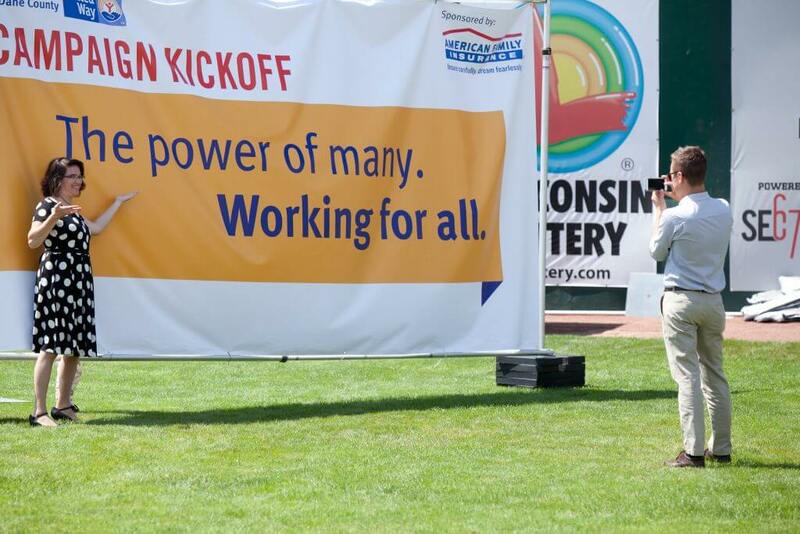 Madison, WI (August 16, 2016) – United Way of Dane County kicked off its 2016 Annual Campaign at Madison Mallards Stadium, marking the 23rd Annual Days of Caring. It is the largest annual volunteer event in Dane County, bringing together more than 3,500 people to volunteer across the community. At the kickoff, United Way announced a goal to raise $18.6 million for the community. The campaign kickoff luncheon was generously sponsored by American Family Insurance Dreams Foundation. Community members can engage with United Way throughout the year by visiting our newly redesigned website: UnitedWayDaneCounty.org. On social media, join the conversation with #GiveUnited. By successfully engaging all community members, we move closer to our shared vision: A Dane County where everyone can succeed in school, work and life.